We finally get full views of new ships and characters. Two weeks ahead of the planned “Force Friday” marketing blitz for Hasbro’s Force Awakens toys, the entire catalog has leaked online. There’s a lot of plasticine in there, but also a sneak peek at some of the spacecraft and characters we’re likely to see in J.J. Abram’s presumed opus. 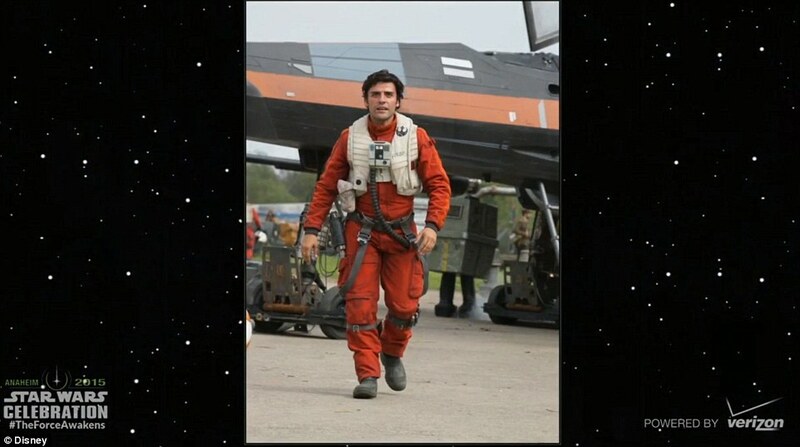 Oscar Isaac’s Resistance fighter character has remained a bit of a mystery, but we’re hoping he borrows Han Solo’s mantle of roguish antihero-ness. 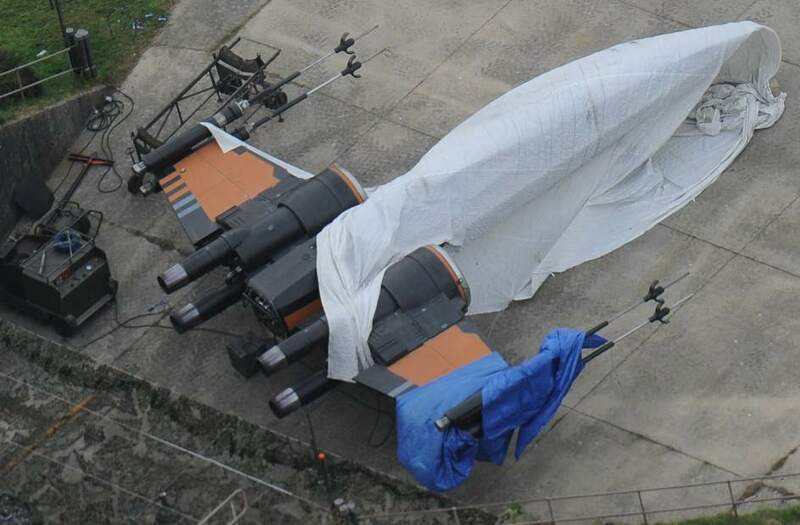 His black X-Wing has made a small appearance in spy photos and a production still unveiled at the Star Wars Celebration earlier this year, but this toy is our best view yet. Rumor has it that the new tint indicates stealth capabilities. Given that it’s so strongly associated with his character here, a stealth stunt flying scene might be coming our way. This is another ship we got a millisecond glance at in the trailer, and now we have a full view. Not sure why exactly, but the red panel on the side looks awesome. Concept art shows a downed fighter on a desert planet, which makes us think that John Boyega’s former stormtrooper Finn steals one of these bad boys and high tails it down to Jakku before meeting up with Daisy Ridley’s Rey. This looks like the old Star Destroyer with a few nips here and tucks there to make it more streamlined and stern looking. The signature wedge design still screams Empire, but we’re looking forward to seeing what the First Order can do with them. This is a brand new throwback. The First Order has literally gone dark, updating the speeder bike design from Return of the Jedi into a sinister looking black design. Are we going to pull an Empire Strikes Back and see some ice planet snow action? There haven’t been any rumors of trips to Hoth, so this might be a sort of expanded universe design, but we’d love to be proved wrong. This boxy design seems to typify part of the evil First Order’s tendency to privilege deadly function over form. This looks awesome. Finn’s badass dune-buggy speeder is armed with some serious fire power, presumably for when the First Order comes looking for him when he goes AWOL on Jakku…or so we think. This is a nice two-for-one. The First Order goes small scale by making single-rider walkers, a far cry from the massive Imperial walkers seen in The Empire Strikes Back. Also, looks like Dameron gets to see some desert action on a speeder that looks hobbled together from spare parts. Speaking of Poe, this action figure looks like he’s outfitted with the same jacket as Finn, which means they’re definitely going to meet up at some point to fight for the Resistance. This is a completely new character unseen in the trailers and not mentioned by Abrams as of yet. He or she is a complete mystery, but they’re most likely a character from the desert planet. Considering they’re a Constable, that means they’re the law. Considering how pissed off he/she looks, we’re assuming this isn’t a friendly character. These guys would have been a complete question mark if it weren’t for some images released earlier this month. Teedo, on the right, is the desert trader that looks to sell or give BB-8 back to Rey. Whoever is on the left is unclear, but is probably another Jawa-like trader of some kind. This fairly bland figure of a Resistance fighter doesn’t seem interesting until you consider it might be Finn underneath that get-up.